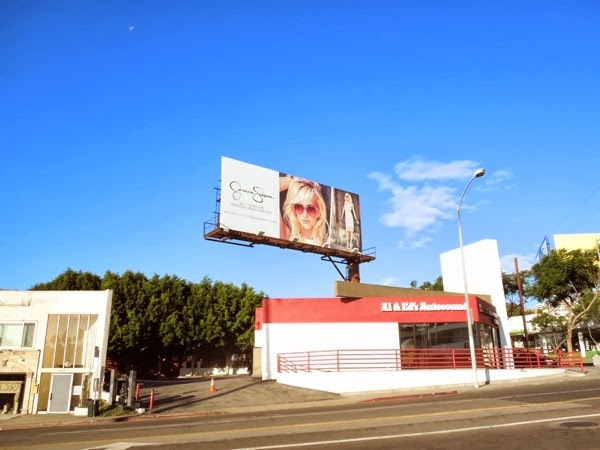 What do you do when you have a clothing line that you normally model for, but can't because you're pregnant all the time? 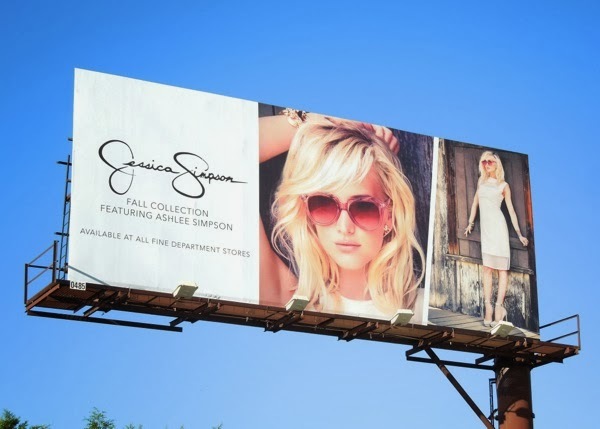 Why, you get your younger celebrity sister to fill your boots (or heels), just like in the case of Ashlee Simpson modeling the fall 2013 collection for her big sis, Jessica Simpson. 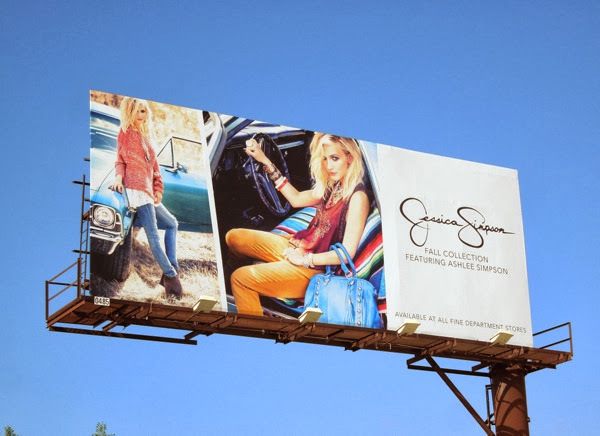 These vibrant Jessica Simpson fashion billboards were snapped along La Cienega Boulevard at Santa Monica Boulevard in West Hollywood on October 10 and November 24, 2013. 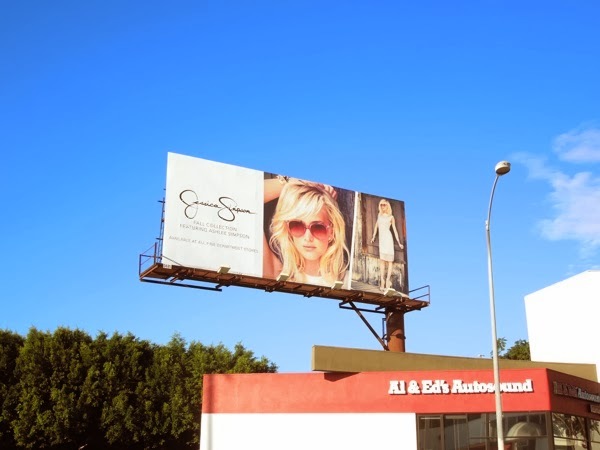 If you're a fan of the singer, actress and fashion designer, be sure to check out these previous Jessica Simpson billboards featuring the women herself.